Avoid the caffeine and the cell phone if you really want to treat your body right and get a good night's rest. When getting ready for bed, practicing good hygiene habits like brushing your teeth and washing your face may seem like second nature. But what about good sleep hygiene? According to doctors, when you get a good night's rest, it helps you face the day refreshed, relaxed, and prepares you to deal with life's everyday challenges. So how can you incorporate healthy sleep habits for a restful night? "Luckily there are a number of things that you can do at home to improve the quality of your sleep," says sleep specialist Tanvi H. Mukundan, M.D. Although it's tempting to have a cup of coffee for a mid-afternoon boost, caffeine can often keep you awake when you're ready for bed. That's why Mukundan suggests avoiding caffeine from the afternoon onwards. Similarly, alcohol and nicotine may also cause sleep disruptions so it's best to avoid them as well as medications that might keep you awake (if possible). While it's common to bring smartphones and other digital devices to bed, having screen time before going to sleep is not helpful for getting a good night's rest. Rather, Mukundan recommends shutting off your phone or laptop 30 minutes before heading to bed. Aside from too much time on your smartphone, afternoon and evening naps can also throw off your sleep schedule. If you take a nap during the day, be sure to nap at least four hours before your bedtime and try not to exceed 20 minutes.When you're finally ready to go to sleep, it's especially helpful to have a quiet, relaxing environment that you can retire to. This means keeping your bedroom free of distractions if possible and having a space that promotes sleep. And while it's common for many of us to try to "catch up on sleep," especially on the weekends, Mukundan recommends following a clear, set sleep schedule which means going to bed and waking up at the same time each day. Allowing enough time for sleep is important too. Consistently getting less than six hours of sleep a night can be consistent with sleep deprivation and Mukundan recommends that most adults get 7-9 hours of sleep each night. Mukundan recognizes that even when practicing the best habits, not everything is under our control. During times of high stress, many people may experience periods of insomnia. This is normal, Mukundan explains, and usually will resolve over time, especially if you keep practicing good sleep habits. If you still have trouble sleeping after a month of practicing these tips, talk with a doctor to determine if you might need a sleep study to help diagnose the problem. 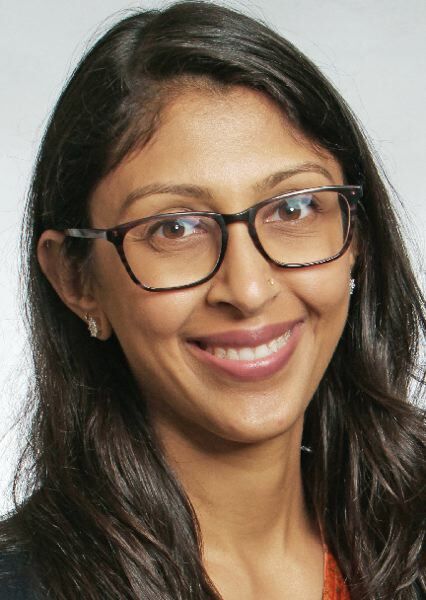 Tanvi H. Mukundan, MD practices sleep medicine at Kaiser Permanente's Sunnyside Medical Center in Clackamas.